Kappa Banda Coen men's retro 1980s crew neck t-shirt in black/gold. 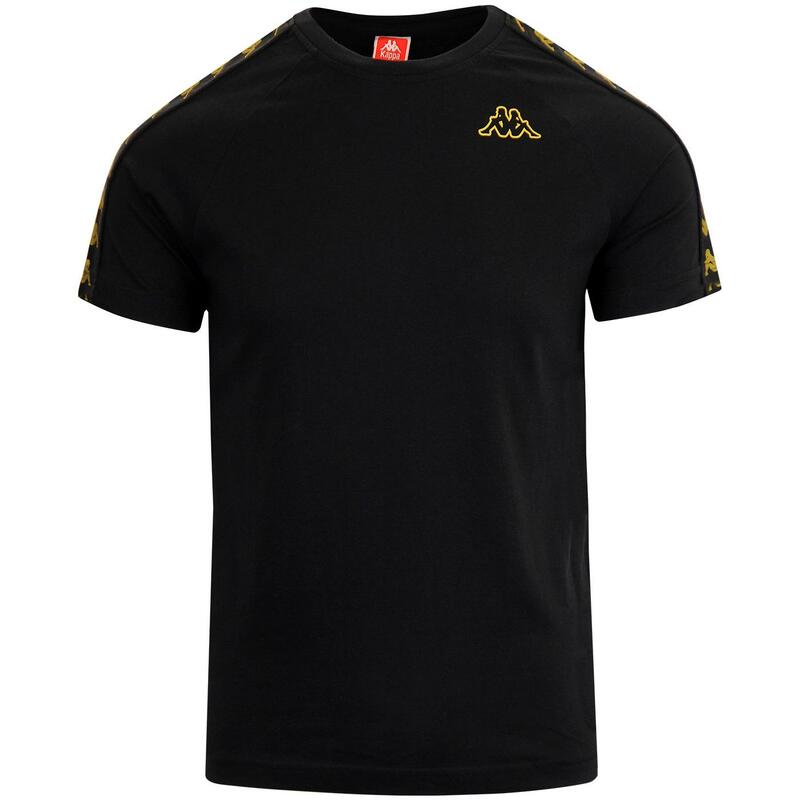 The iconic Kappa Banda retro tape trim to the sleeves with the famous Omni logo in gold adds a genuine sports heritage vibe to this classic crew tee. 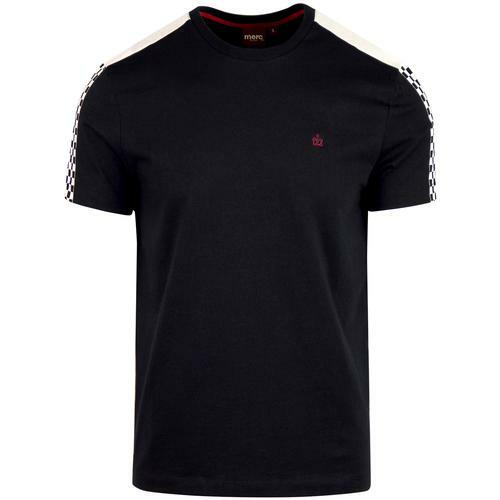 The garment is finished with Kappa Omni rubberised applique outline logo to the left side of the chest. 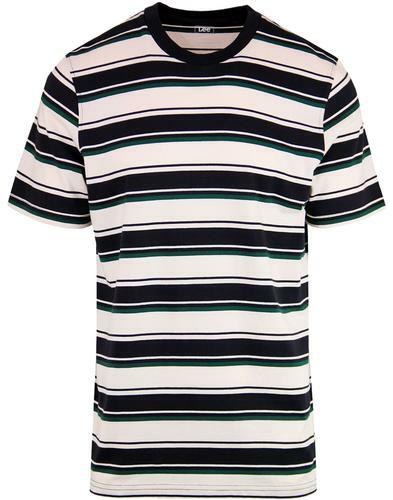 A cool indie style with raglan sleeves and an undoubted retro leisurewear vibe - The Kappa Banda Coen T-shirt. Kappa 'Banda Coen' men's retro crew neck t-shirt in Black/Gold. Kappa Banda tape detailing to sleeves. Kappa rubberised Omni motif to chest. 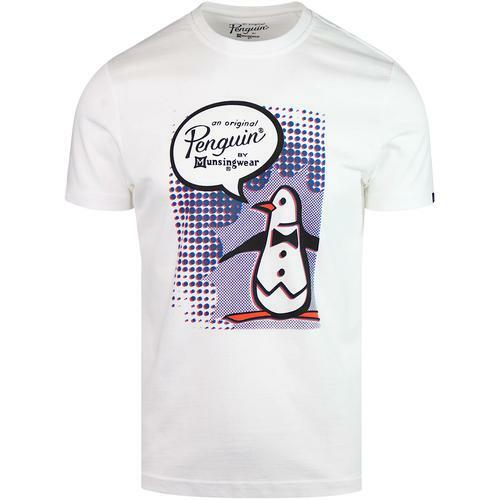 SKU: 303UV10 A14 Coen Banda T-shirt.